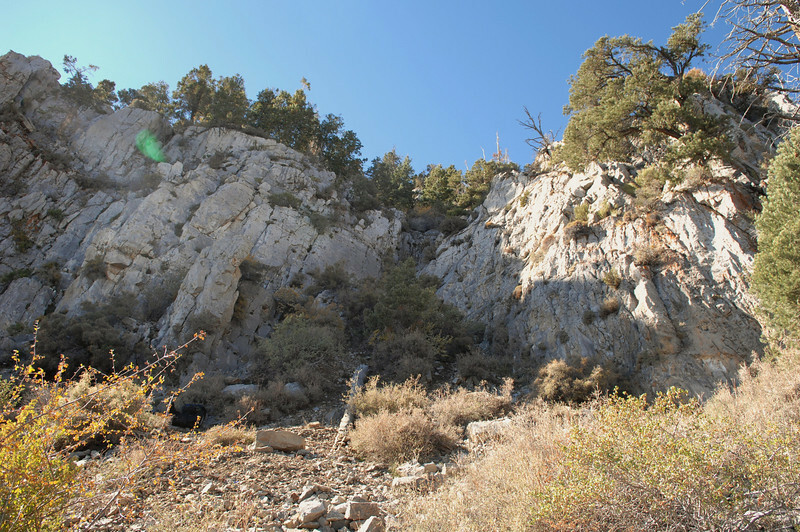 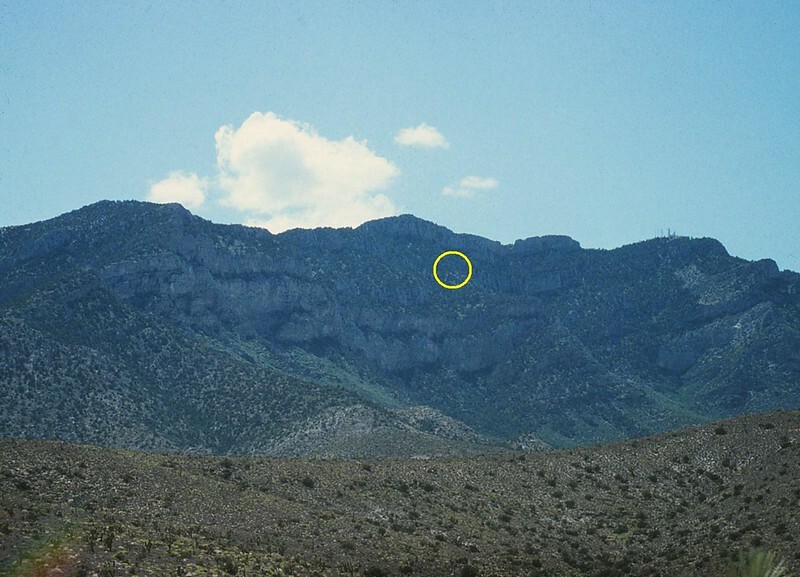 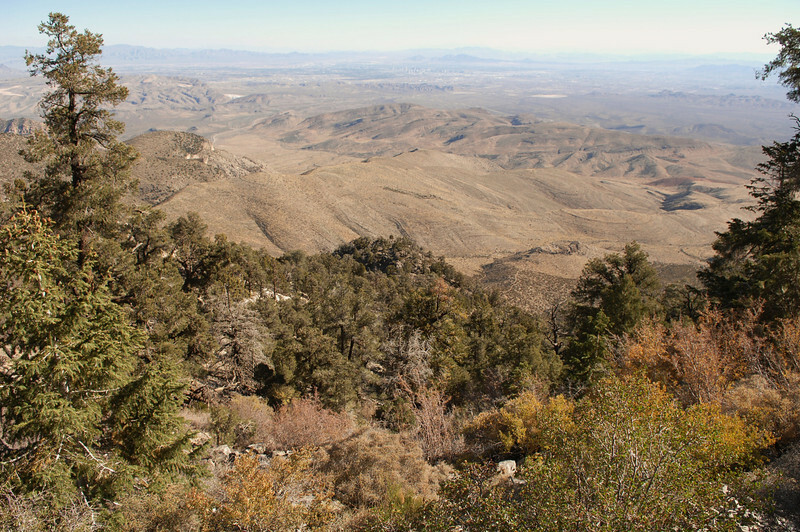 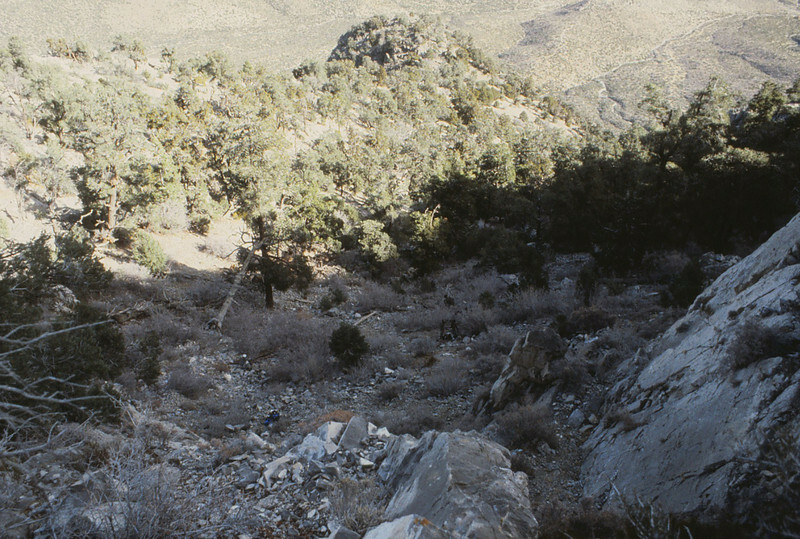 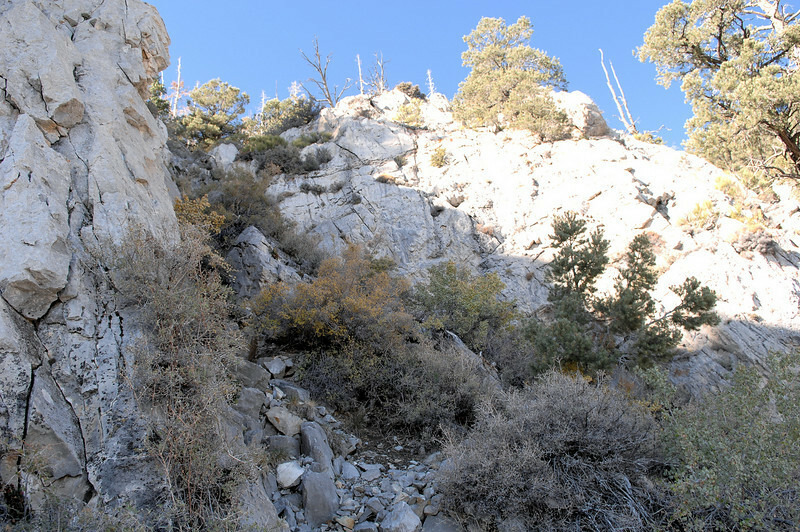 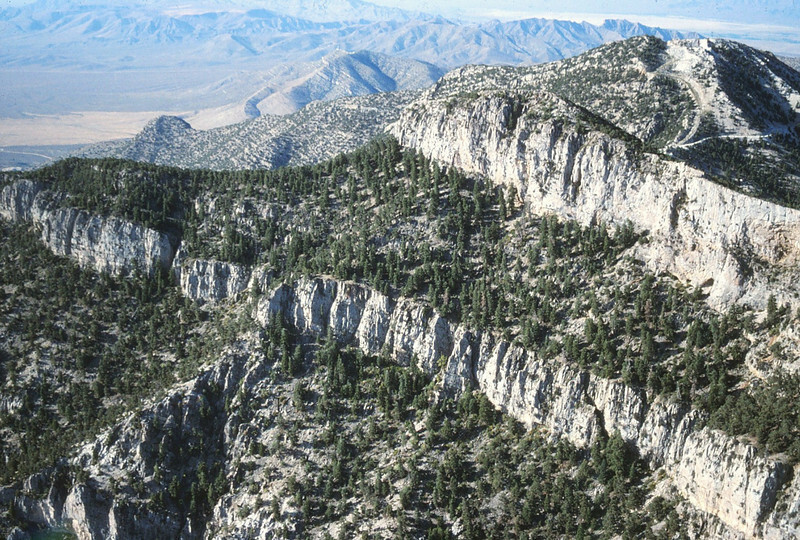 Looking at the northeast face of Potosi Mountain. 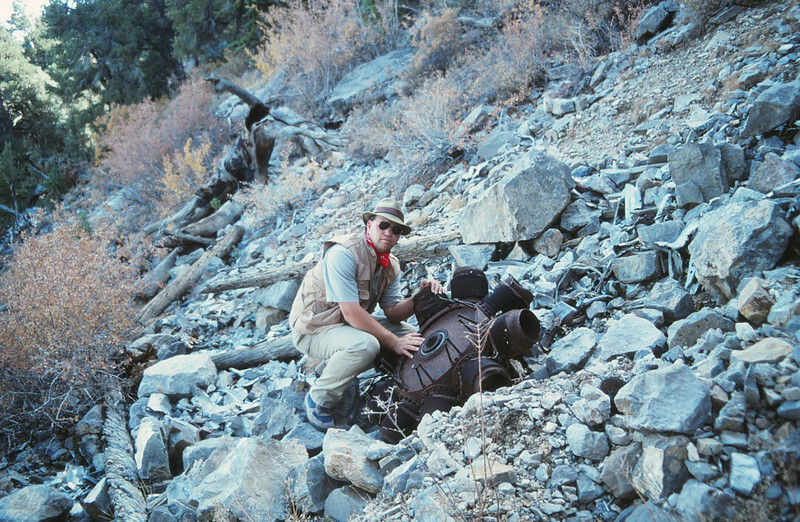 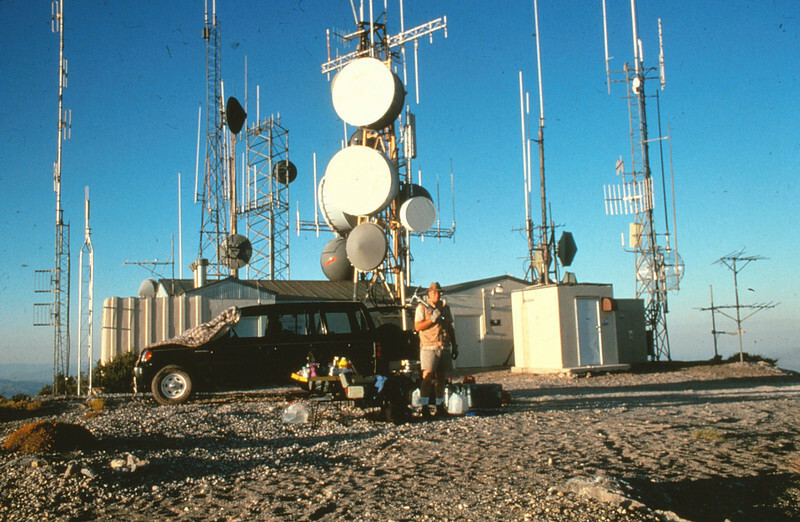 During my second visit to the crash site in 1993, I had permission by the U.S. Forest Service to use the access road which is usually locked. 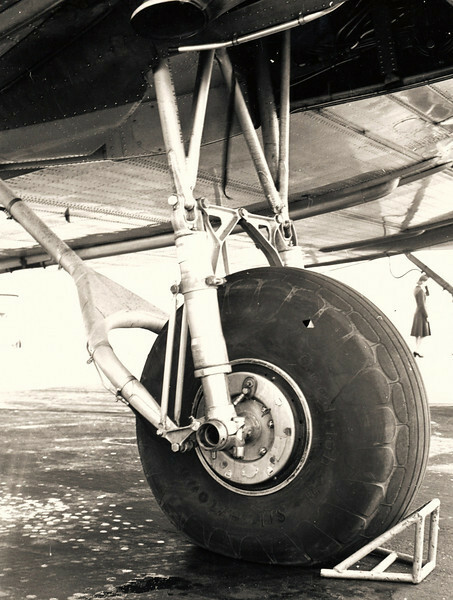 On-site and posing with one of the DC-3's two Wright Cyclone G-202A radial engines. 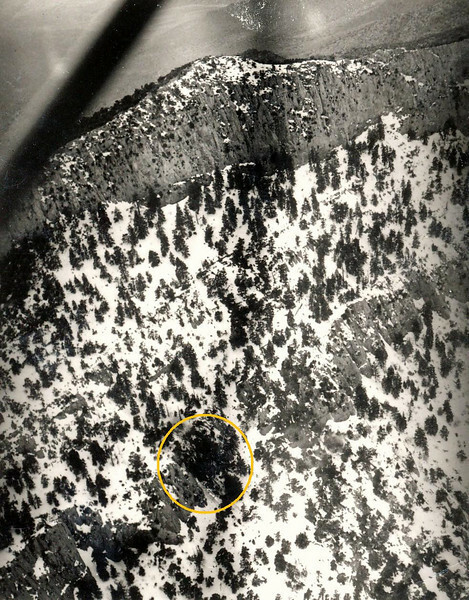 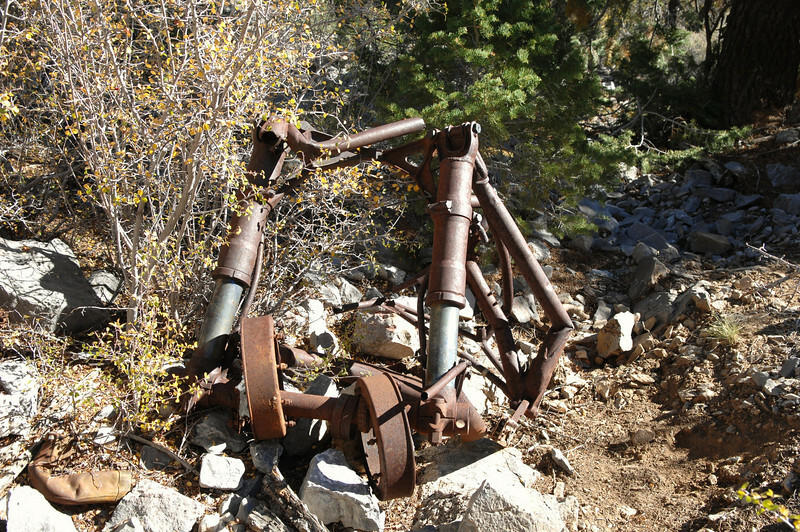 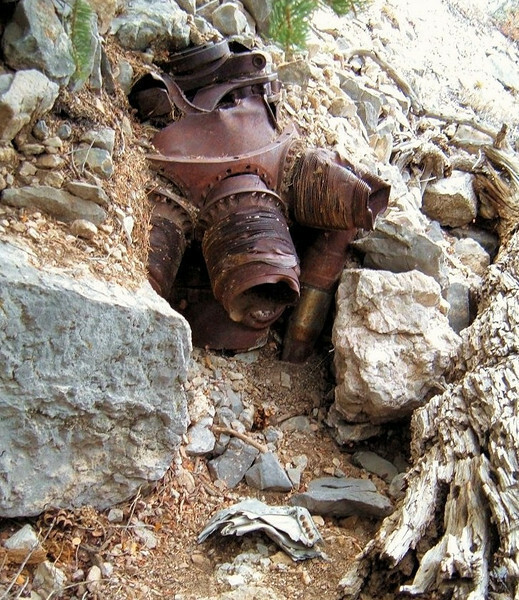 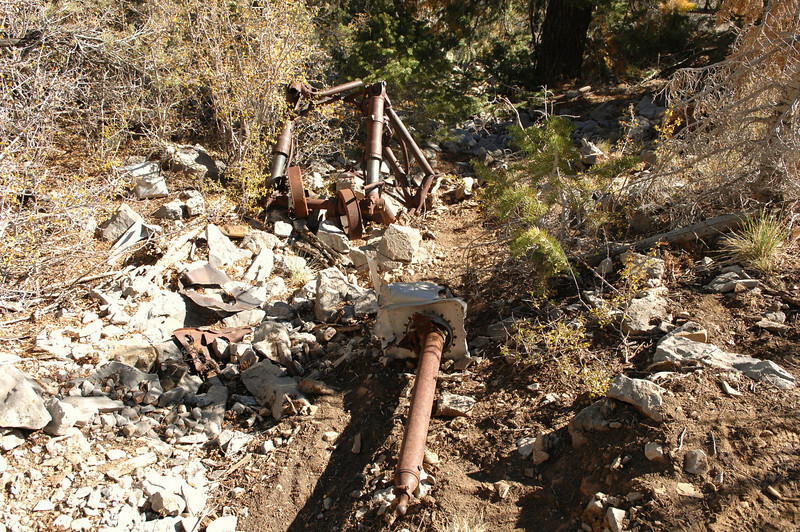 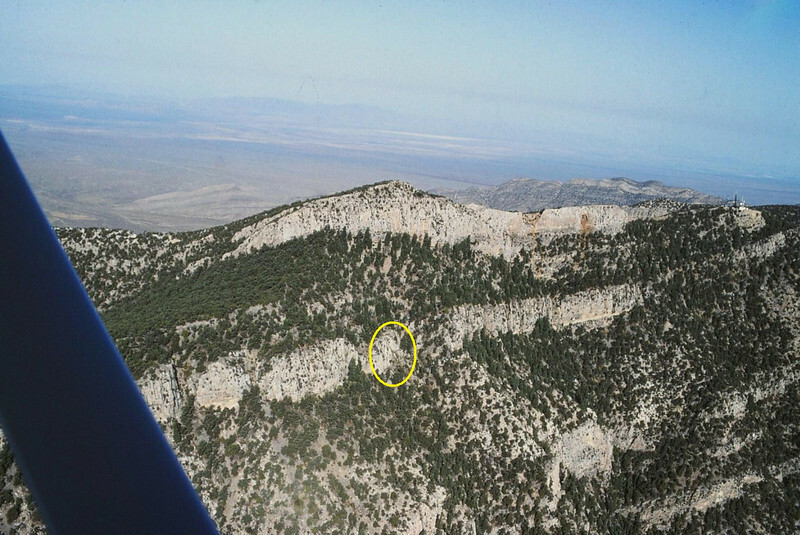 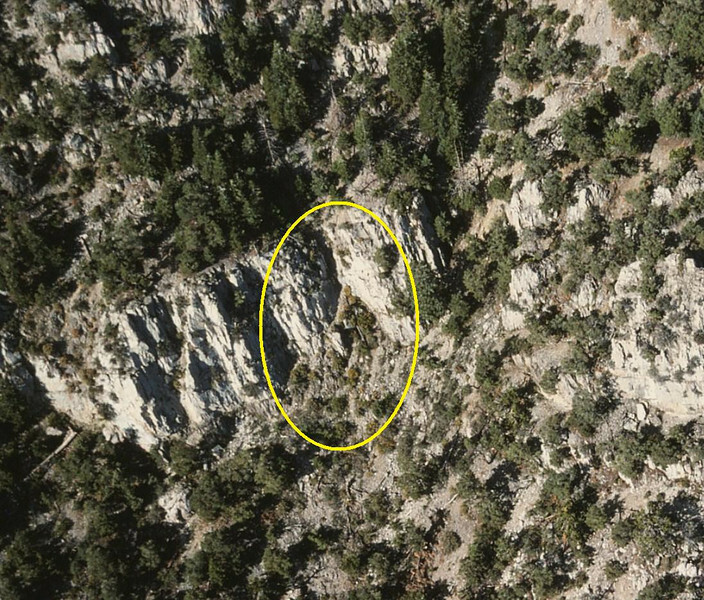 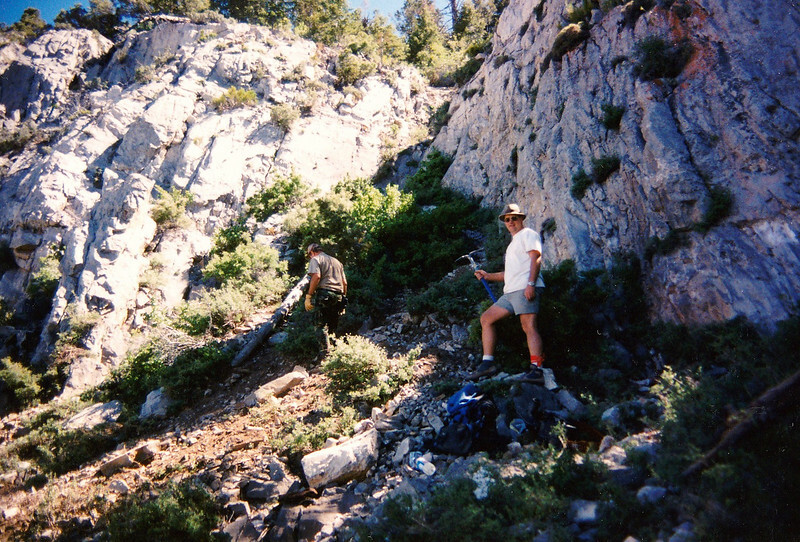 The port side (#1) engine was was found in a gully below the main impact site and below the #2 engine. 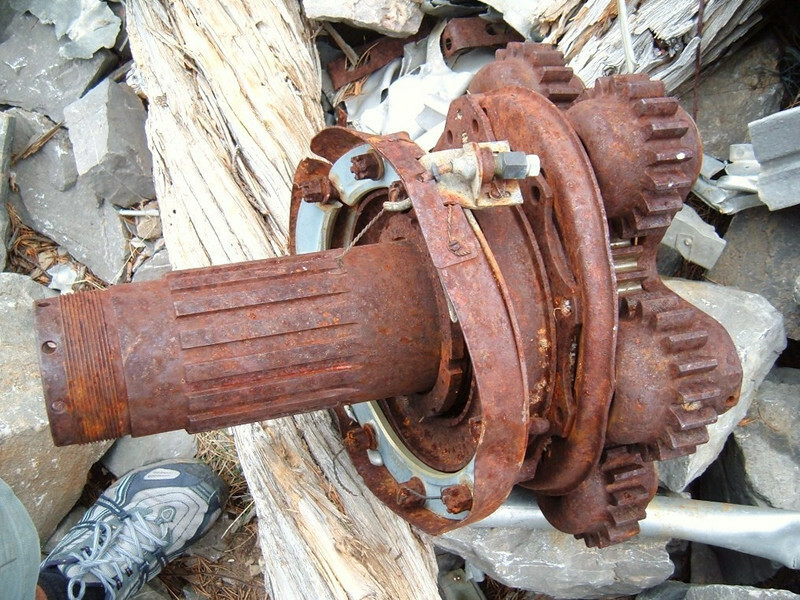 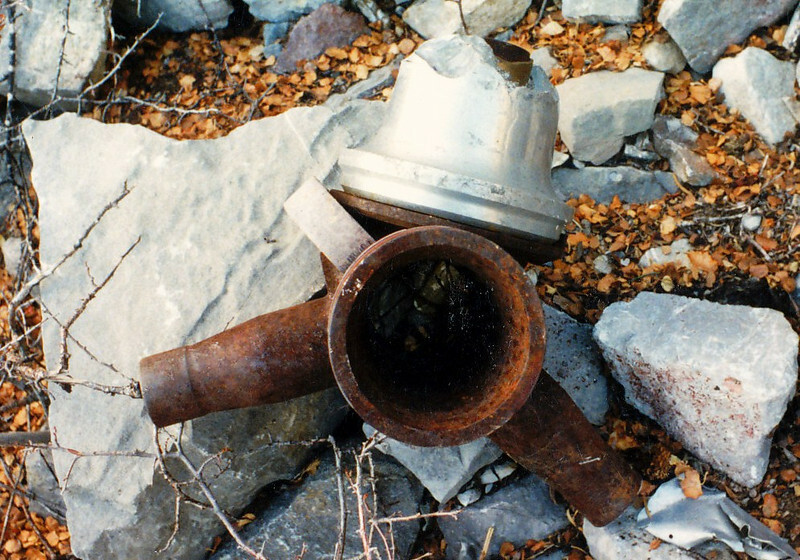 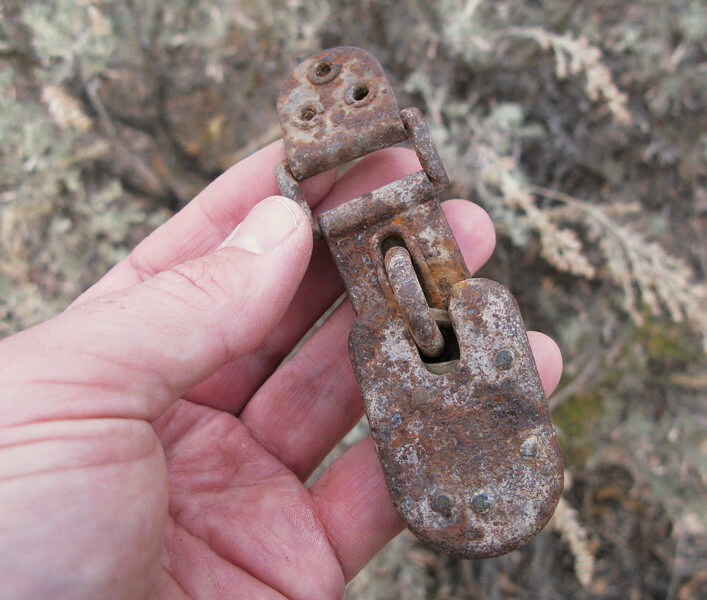 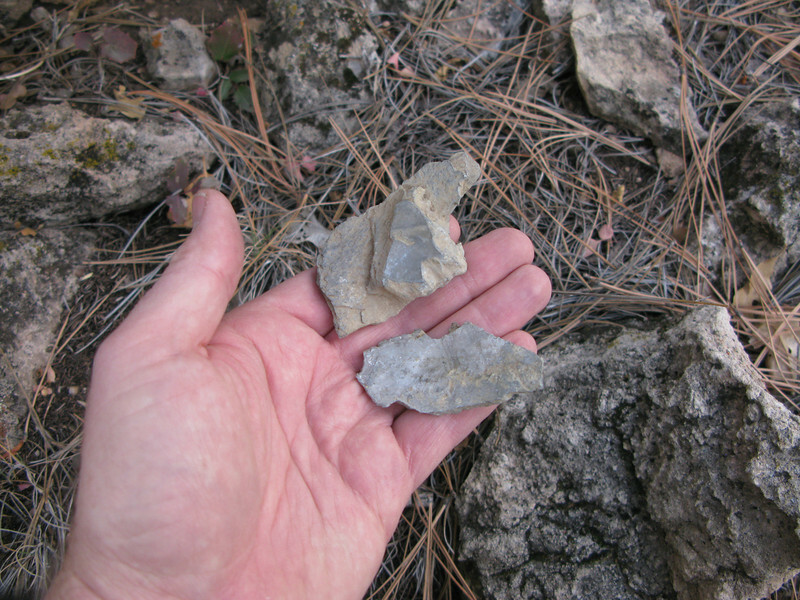 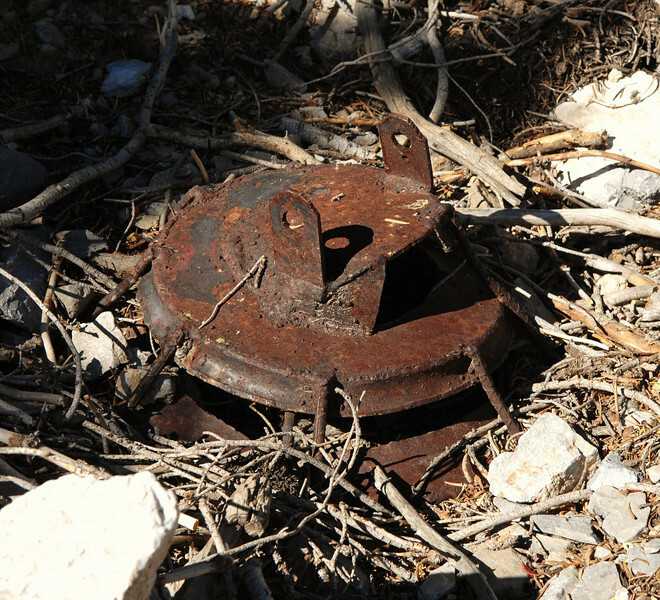 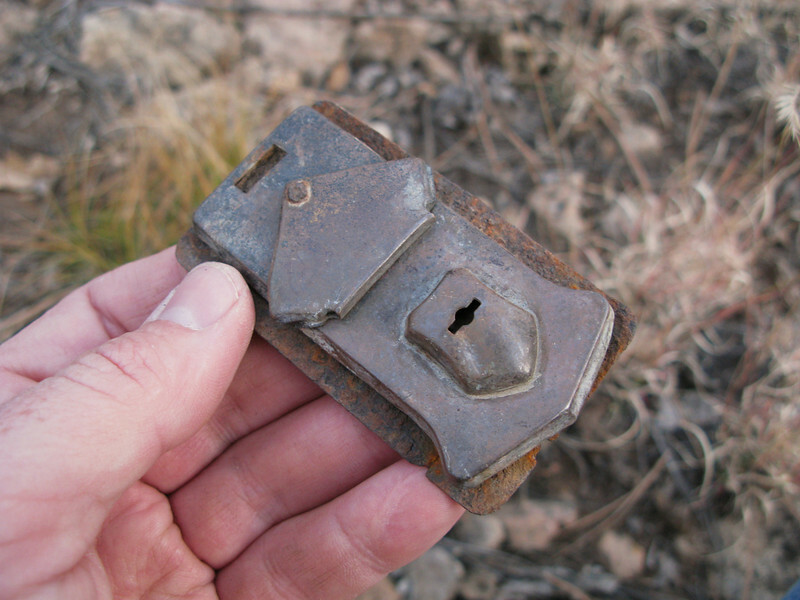 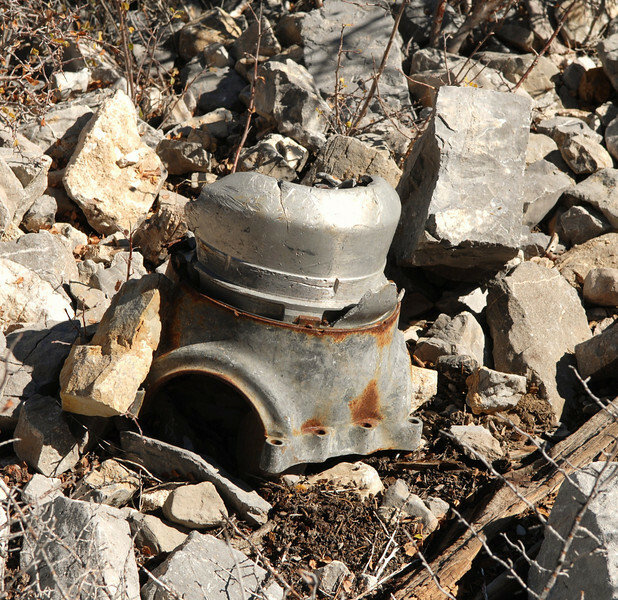 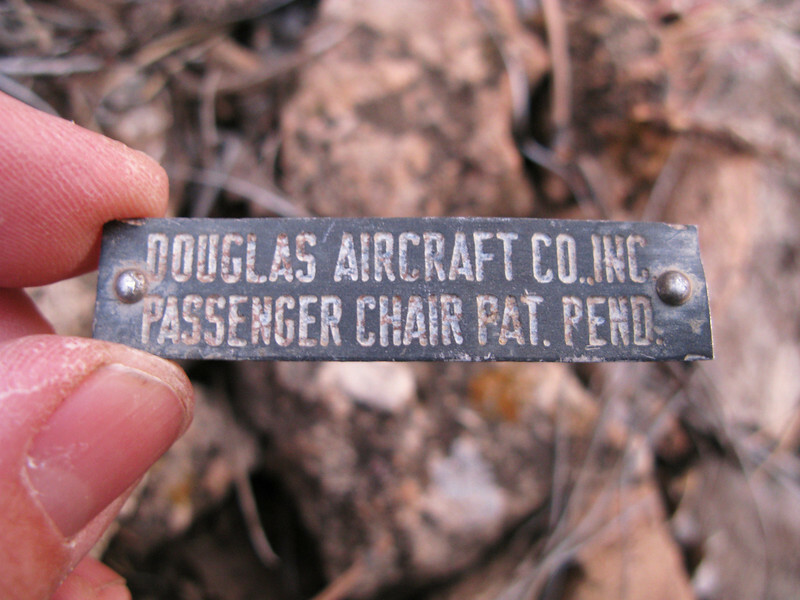 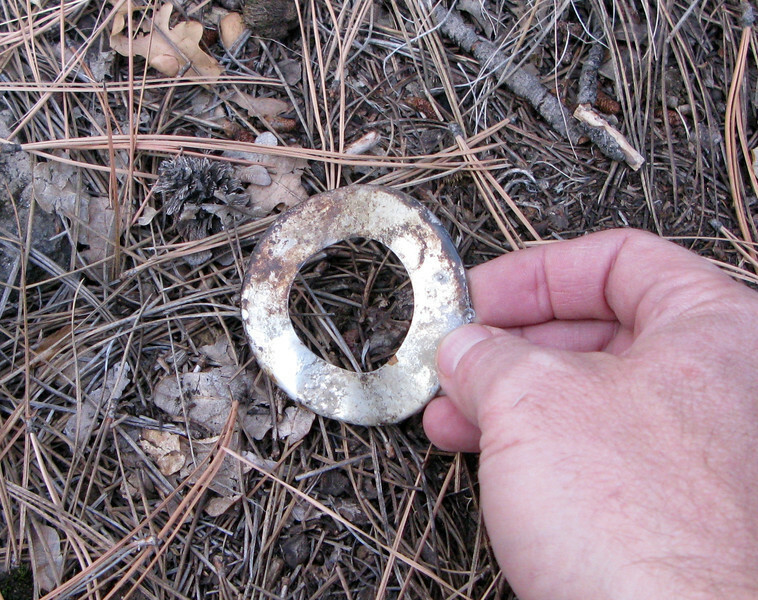 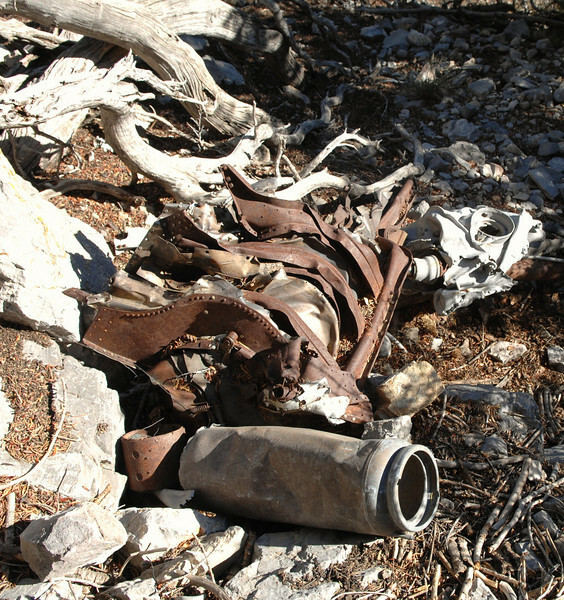 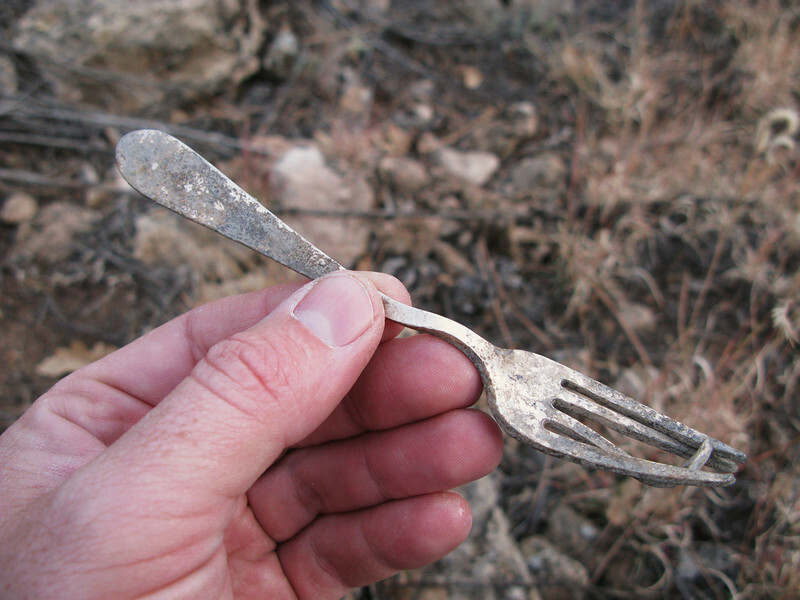 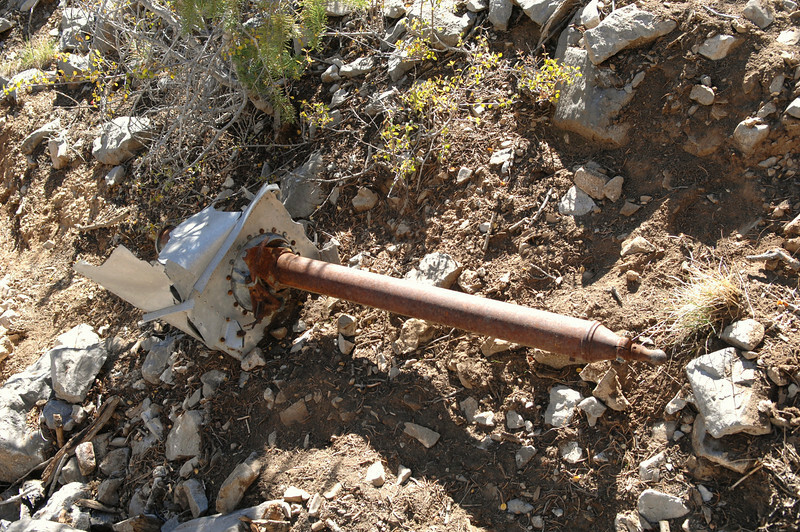 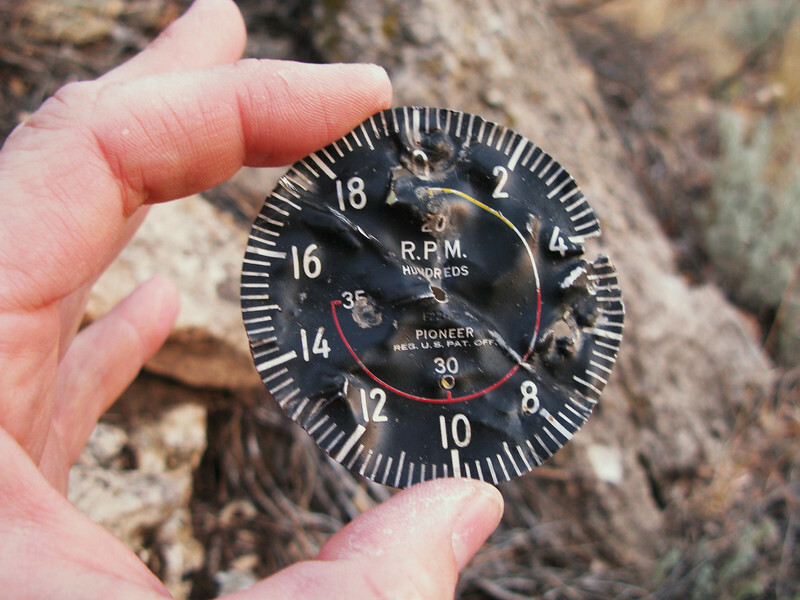 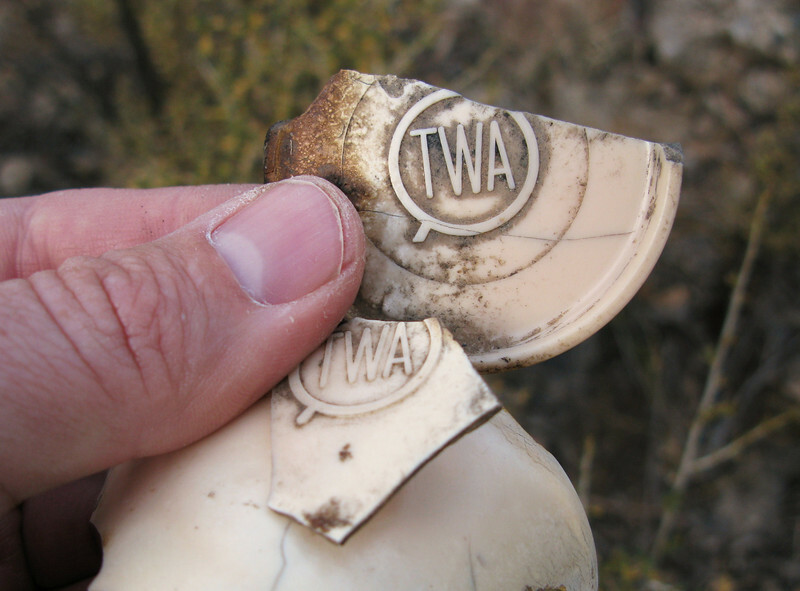 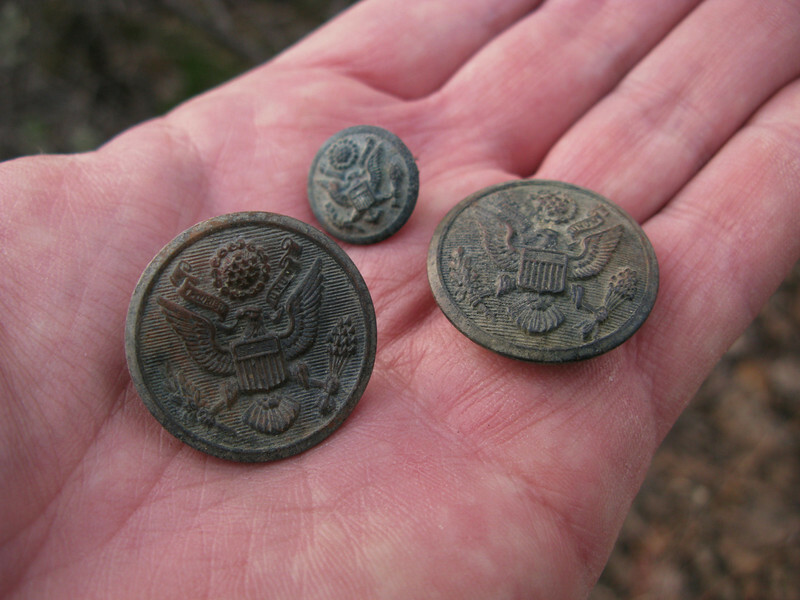 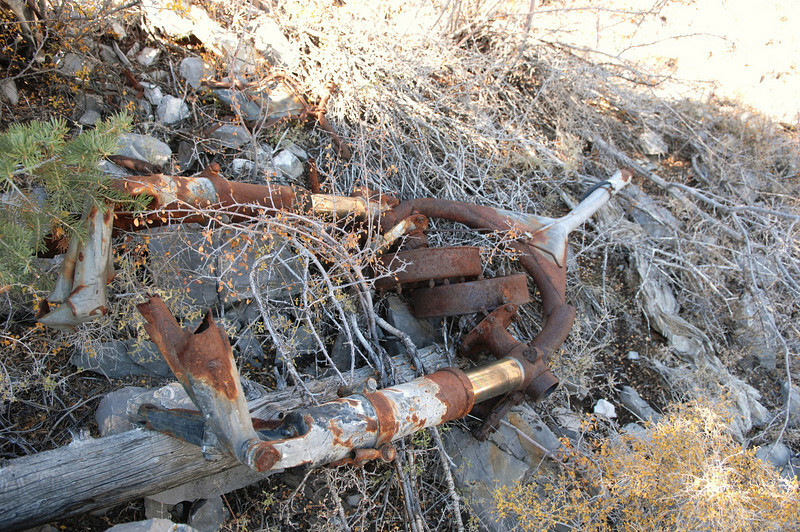 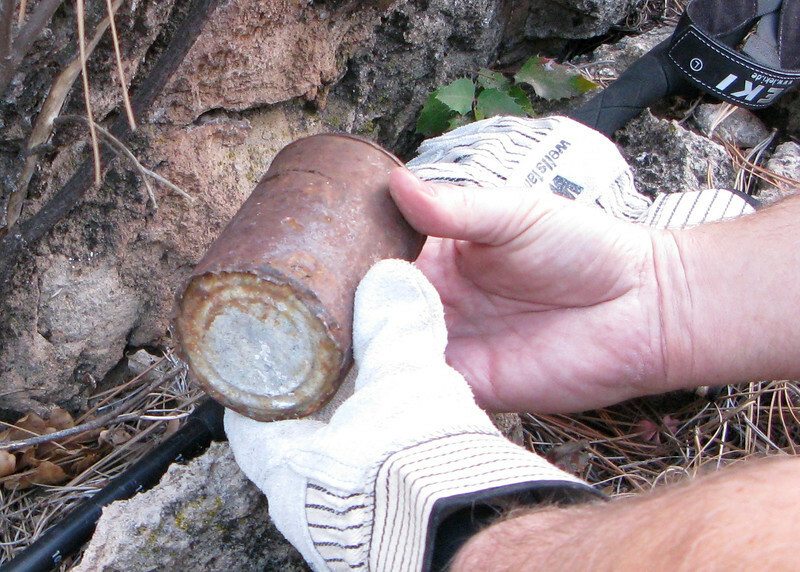 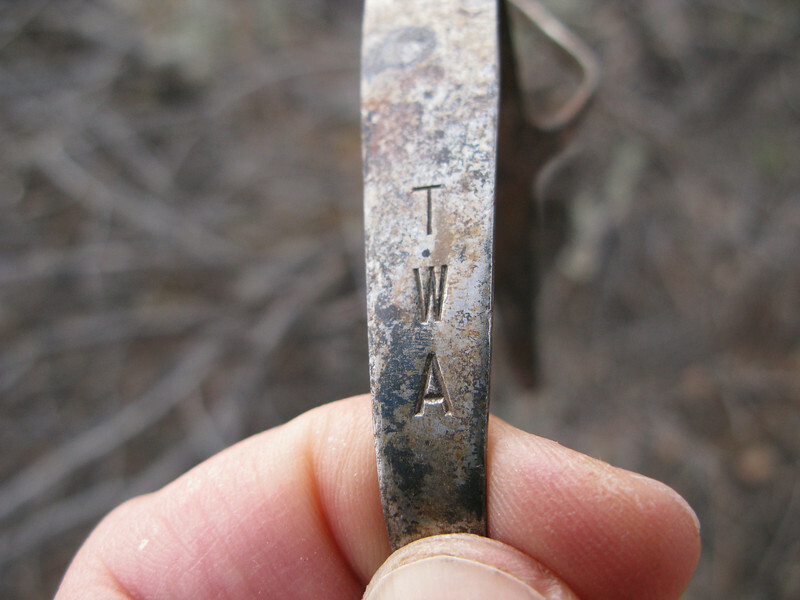 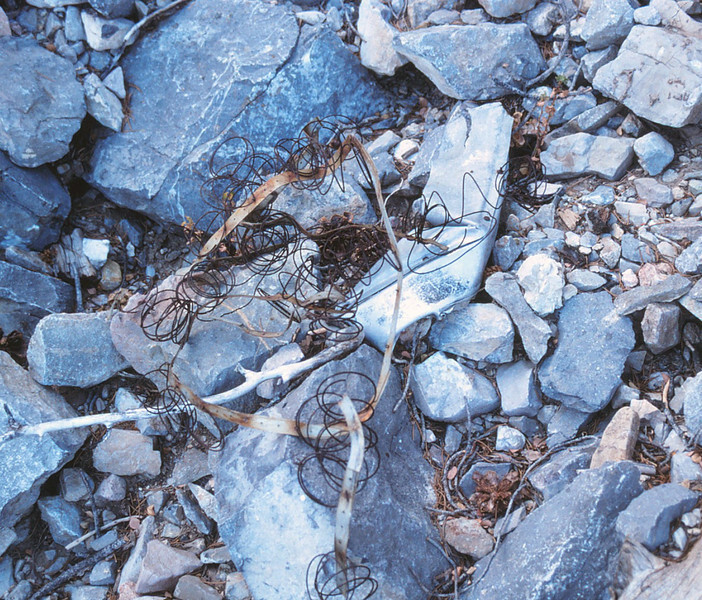 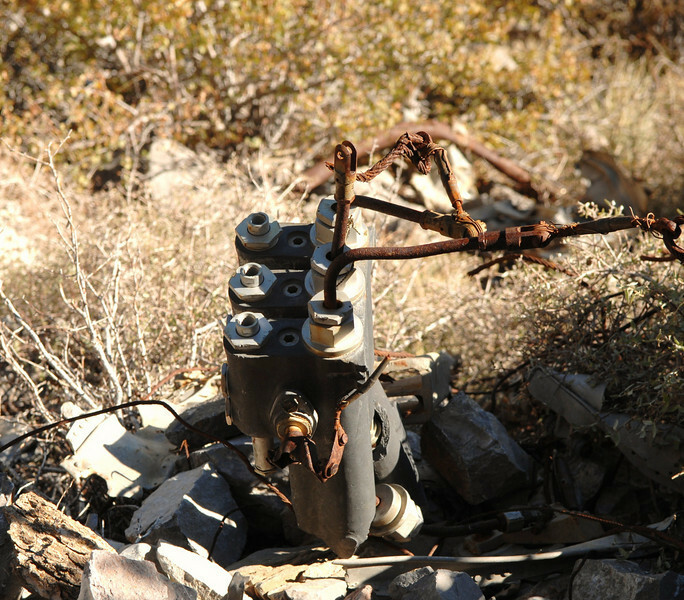 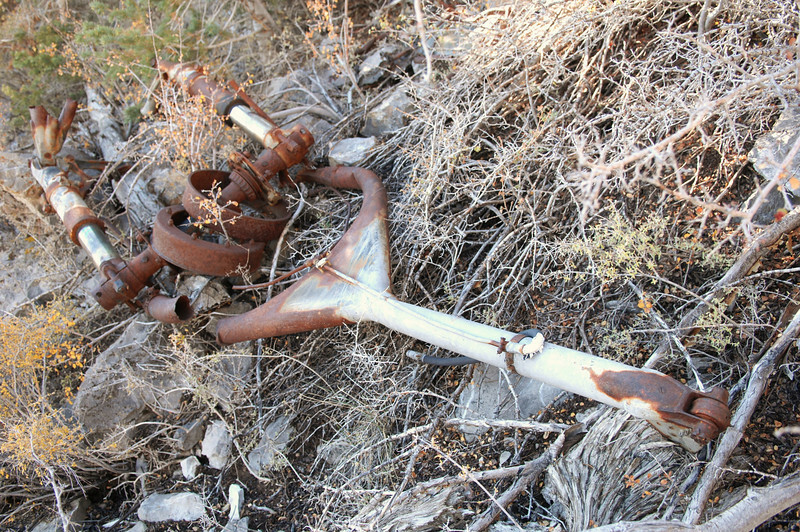 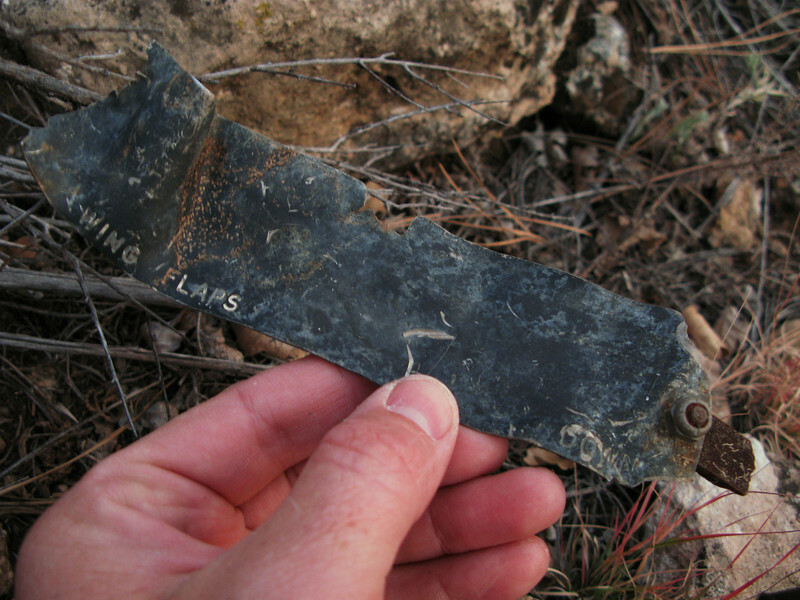 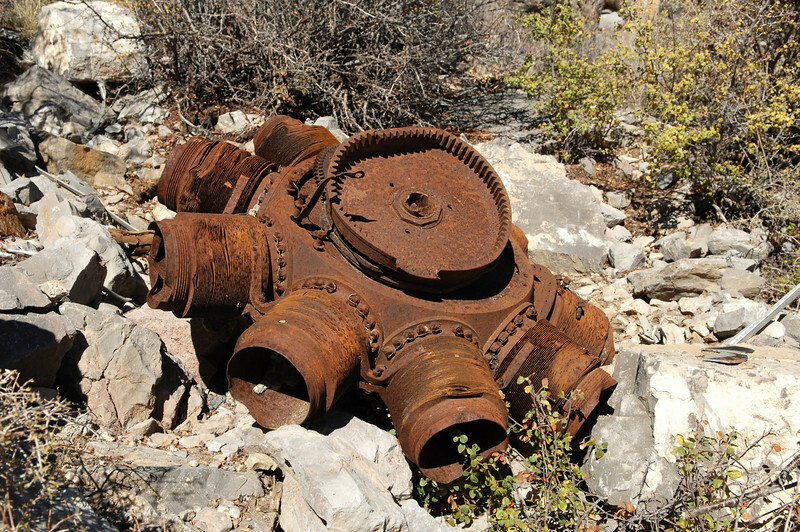 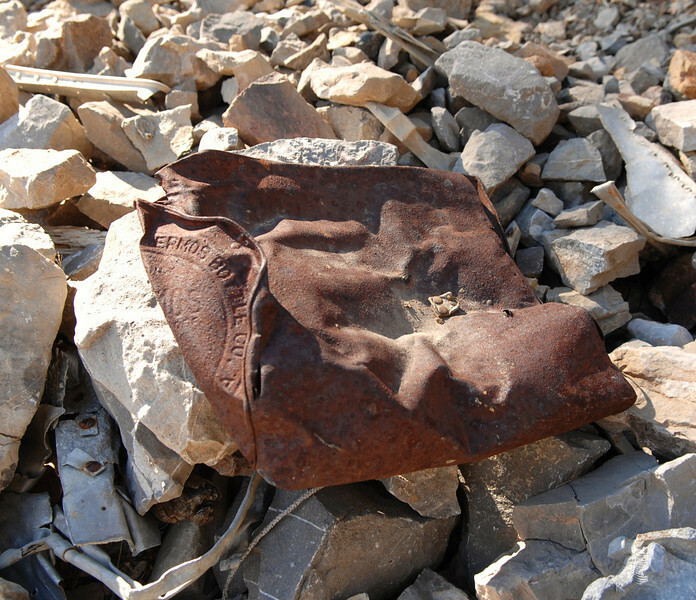 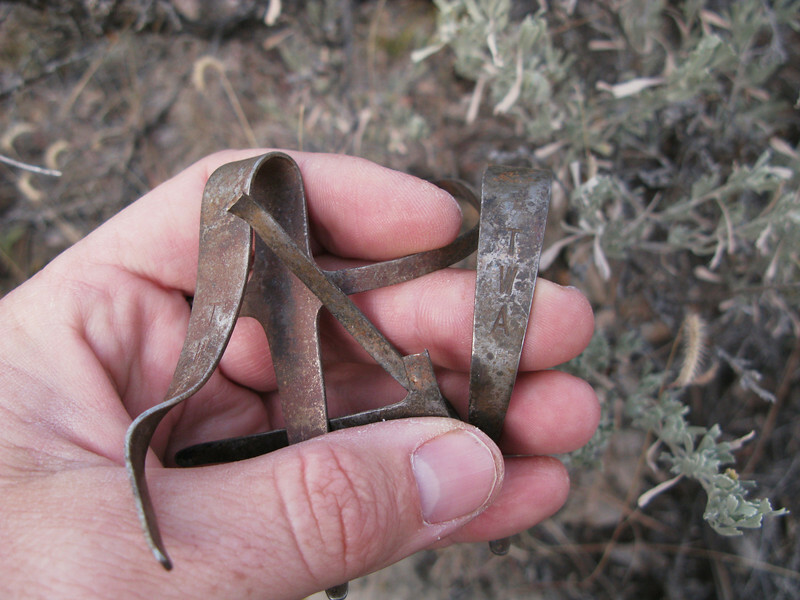 This mystery object located at the crash site was not part of the aircraft. 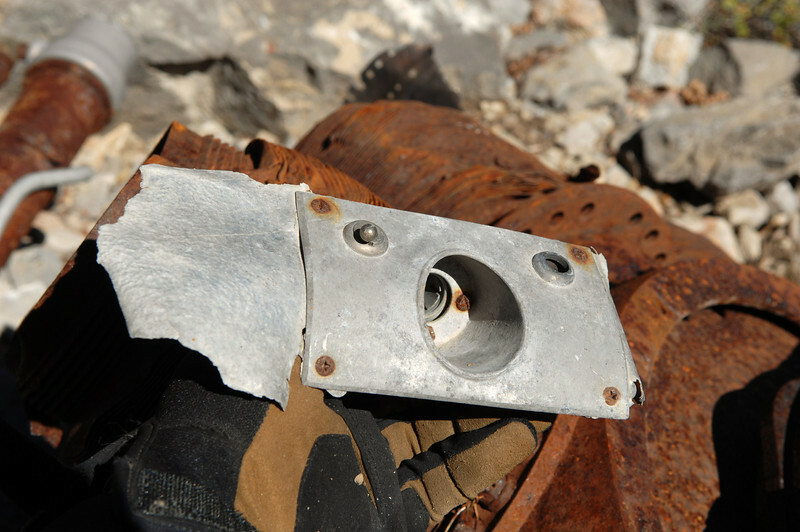 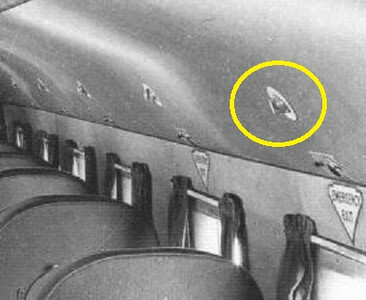 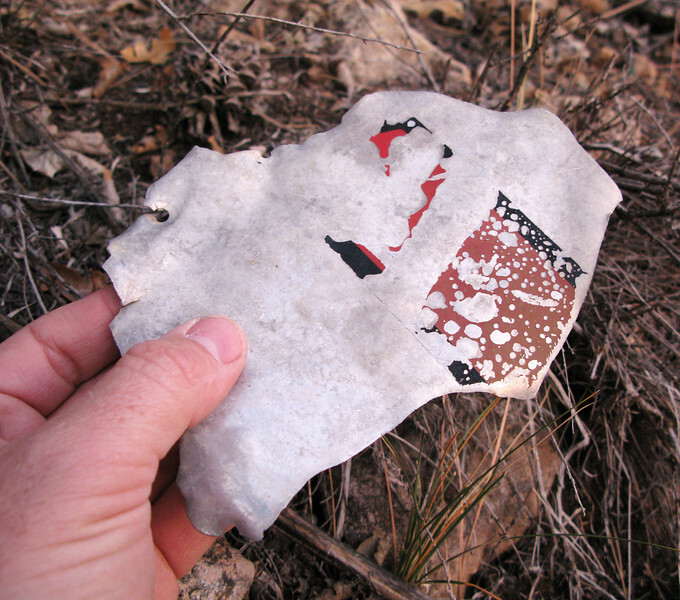 After the salvaged aircraft aluminum was melted, it was poured into empty tin cans and allowed to cool. 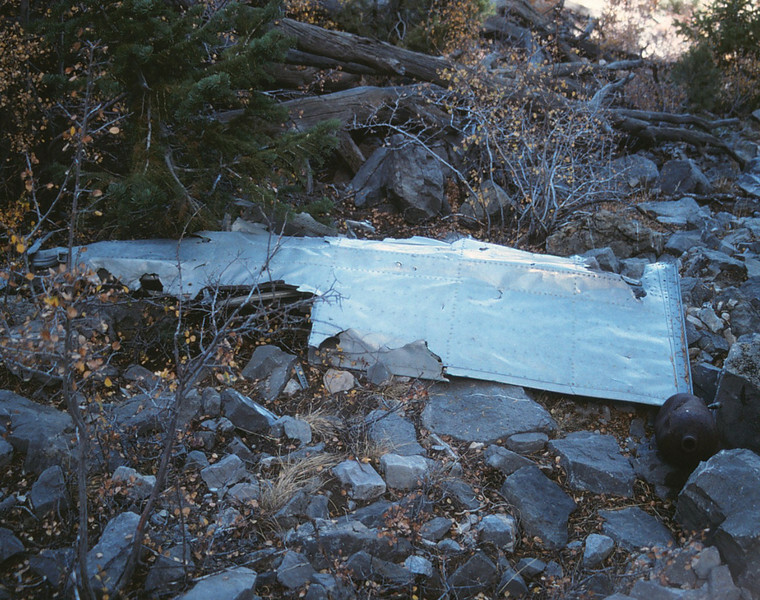 The salvaged aluminum could then be packed out by horseback from the crash site. 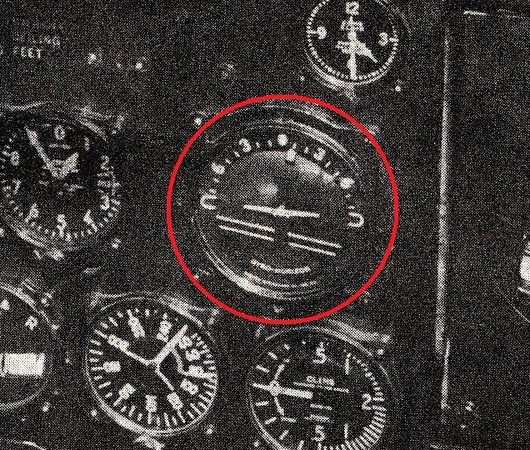 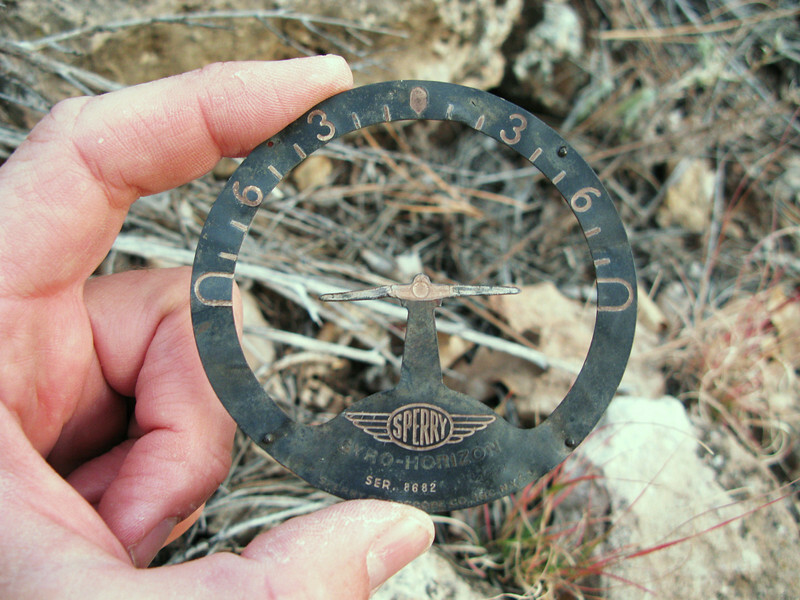 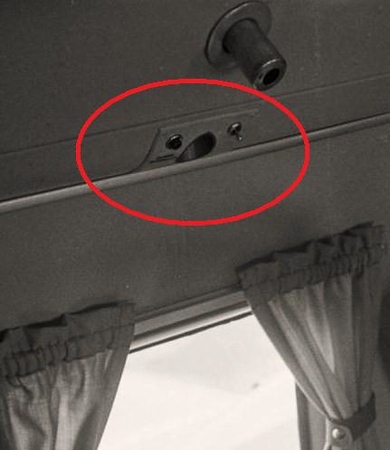 A vintage TWA DC-3 photo of the Sperry Auxiliary Gyro Horizon indicator.